And you got through it never saying “Prime Directive”…. (sigh) But yes the idea is in there too. You could reference the idea of panspermia – that we are all related from traveling microbes on meteors (and passing stars.) But then there are other aspects of encountering other species – exchanges of diseases being primary. Yes some diseases might do nothing but others could kill everyone. Ala War of the Worlds. But material examples exist too – Indians of America vs the Europeans for example. The Indians suffered terrible losses even to wiping out whole villages with mortality rates above 80%. And guess what – the Indians basically lived cleaner hygienic lives than the Europeans of the time. So the wise species might take great care getting our cuties. If pharaoh promulgated a “prime directive” 3000 years ago, having it cut into stone in his tomb, would we care? Wouldn’t it just become a museum item and not a policy document that is taken seriously? And thousands of years of delay is the typical time scale of interstellar communication. It doesn’t work on a civilization kind of time scale. And why didn’t that virus spread from Europe to America until we built ships to transport it over there? It doesn’t seem to be very contagious. Those who worry about planetary defence against virus from Mars don’t need to worry so much. It could be a lesson hard learned and become part of a culture. How a culture could operate across thousands, tens or hundreds of thousands of years is an open question. But it can be more than a stone marker. Yes the disease just orbiting from Mars is not my concern until some evidence pops up (one of the mass extinction of the past yet unexplained) but the scenario discussed has nothing to do with that approach. Diseases basically don’t live far from their potential hosts. They sit near us and travel when we do. So if aliens came they covered the distance and we’ve got the disease. The main problem I see in this line of thinking is the assumption that we would be aware that colonization was happening either here or elsewhere. It may well have happened here on Earth long ago but we lack the where-with-all to understand that we are in fact a ‘colony’. The process for colonization may be exceedingly slow; manipulation of environment or organic processes; use of a form of technology that we simply do not recognize as technology and that influences our technology. It seems to me the implication offered by Hart-Tipler et al is that intelligent life arises, progresses and advances from its origin in a way analogous to our own. The truth of the matter may be that we just may never ‘get it’, that our alien overlords are in fact more like fungal spores that attached to rocks dispersed through the cosmos millions of years ago; they could have been here the whole time trying to communicate with a bunch a of gigantic morons that keep trying to eat them. All this “Supposing” makes for gr8 sci-fi movies on account the life Sagan and others have searched for doesn’t exist here, there nor anywhere. In actuality, we are surround by real, REAL life but not as we know it. And like in war, the less the enemy knows about you or even denies you even exist as an enemy, the better. So that’s why Hart, Tipler, and Proxmire denied the existence of aliens…they were the alien enemies and wanted us to stop looking for them. Or they were directed to subvert any attempt to make contact by the aliens at area 51 (or AUTEC, the area 51 of the Atlantic) LOL. They don’t have to be aliens themselves. Disclosure: I worked at AUTEC for a while. Most if not all conjecture about ETI contact(s) assume that FTL is a fact for highly advanced civilizations. What if it isn’t? What if the speed of light cannot be exceeded by physical matter in our space-time? That would of course, slow any galactic civilization’s spread to a crawl. This would mean that the argument that ‘they’ should be here by now.. doesn’t hold. OR perhaps ‘they’ have been here, seeded the place, then moved on. Full well knowing they would never be able to return? So how then might life spread itself in our galaxy? How about the possibility that spontaneous eruptions are ubiquitous and occur wherever and whenever conditions are ‘right’? Then, as evolutionary processes drive the disparate genomes forward, all surviving species eventually reach an evolutionary plateau above which they are no longer bound to the physical plane in our universe… Got angels? I was thinking along those lines too, Aqua4U…except that I don’t think they have gone that far away. So now we must consider if they were benefactors who seeded us here and walk among us as our anthropologists walk among the !Kung…or they are walking among us to keep us in our place, as science-deniers. Also, Aqua4U, as for “spontaneous eruptions” of life, there is a scientist at MIT named Jeremy England who has a theory based on Thermodynamics that posits that the chemistry of life falls together at just the right temperatures. Slow crawling is more than enough for anyone to quickly colonize the entire Milky Way. The speed of the Sun through the galaxy is about 200 km/s, almost 0.001c. Solar Probe Plus, to be launched soon, will for a moment have a similar orbital speed relative to the Sun. We make one galactic orbit every 0.25 billion years, so we only need to go 25000 light years inwards and outwards in order to colonize the entire galaxy as we circle it. Do the math, we can colonize all stars within half a billion years. It could’ve happened dozens of times sequentially over and over again already. If one in a million does it, it has happened millions of times already. Are you forgetting that all the other stars are moving as well along with? Different speeds depending on one’s orientation with the core, but still, your argument seems to be overly simplified. That is of course true to some degree. Stars do move together in the cluster cloud where they formed. But only for a pretty short while. Stars orbits have different eccentricities. The galactic disc does mix stuff up. And there’s no more than about 25000 light years from us to the center of the galaxy or to the outer edge of the visible disk of the galaxy. If you divide the billions of years of galactic age with the tens of thousands of light years of galactic distances, then you get a feasible space travel speed. It seems doable. Here is another logical viewpoint on the possibilities of life elsewhere in the Universe. Perhaps you might add it to your list of references. A) Why would he add a reference that he didn’t use? C) I looked at your website; ANGELS..? Really? I once tried to write a short story of aliens comming into our solar system. IF, like the writer of the titanic disaster Morgan Robertson, I got any accidental time rule breaking knowledge, than expect aliens around the time of a WC soccer (football) with an opening show match with ailing robots, an expedition crew to Mars and an Asteroid capture expedition. Of coarse, evolving brains is one part, evolving hands is an other part. Smart dolphins don’t get there. Smart wolves don’t get there. Aggressive smart attitude … meh, no. Not into space. Passive? … not really … etc. Lots more things that have to co-evolve for just the right thing. And we’re on the verge of discovering if humans have it. We made it to the Moon at least. So lets just start with the assumption that aliens are succesful at being a dinosaur. Big ones. And they’re not interrested in space. Do you really believe in the assumption that all aliens always are the same with respect to the colonizations issue? Don’t you think there is or ever has been a bit of variation? If it can be done it will be done. Galactic colonization is unavoidable. You know so many things with such certainty…….. I’m impressed. Actually I’m saying that we cannot have any certain knowledge about “aliens”. That’s why we know that they must be very diverse. It is those who claim that everyone always have a particular property, who have the burden of proof. If we ever get visited by an alien. It will be by an alien cargo driver search for new places to dump the toxic waste. And he most probably won’t understand your prime numbers messages. Good joke Olaf. But to be serious, toxic waste is best dumped in the nearest star. It will be broken down into its original elements in short order. Hart’s argument is much stronger than most of his critics realize. Hart may have assumed those things, but he didn’t have to. If even ONE civilization did some of those things ONCE in the Milky Way within the past 14 billion years, our galaxy would have been filled in what amounts to an instant in geological time. The colonies do not have to last for “millions or even billions of years”, they only have to last (on average) for slightly longer than they take (on average) to establish one more colony. 1) Devised a method of interstellar travel. 2) Created new colonies faster than old colonies vanished. So unless we assume interstellar travel is virtually impossible (a far fetched assumption IMO), Hart has a very strong argument that either technological civilizations are very uncommon in our neck of the woods, or that we are one of the first. A sad conclusion, but hard to avoid. Hart’s hypothesis also has cosmological implications because it is hard to explain why technological civilizations should be vanishingly rare. If they really are, seems to imply they are “just barely possible.” And that lends strong (albeit circumstantial) support to multiverse models like the string theory landscape. It also has major philosophical implications. For example, if life is rare that makes Earth life all the more precious. Which would be all the more reason to get our eggs out of their single basket and colonize the solar system before it’s too late. Not to mention, to take better care of what we’ve got! Hart’s hypothesis is testable (via SETI) and has major implications. Proving it wrong have equally big implications. 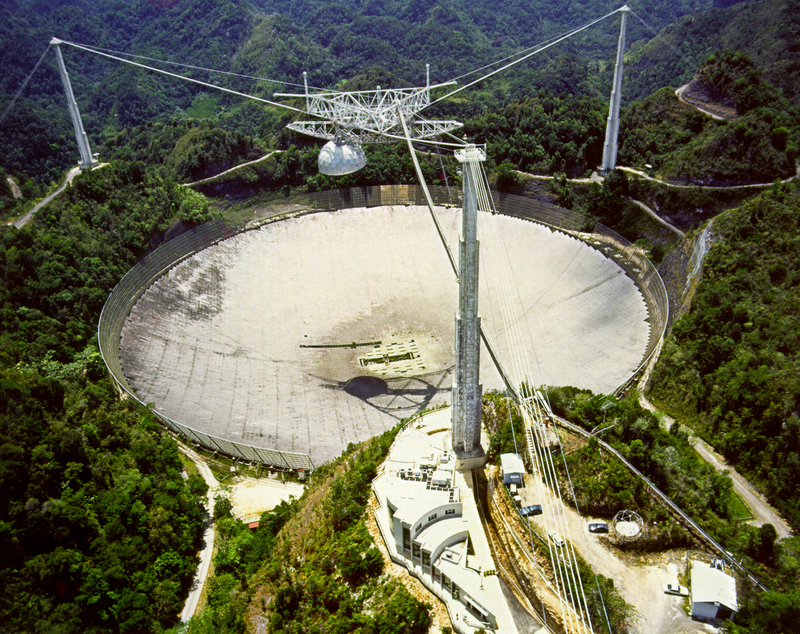 So it is a strong reason to support SETI, not a reason to oppose it! Lapsed, when you say, “…If even ONE civilization did some of those things ONCE in the Milky Way within the past 14 billion years, our galaxy would have been filled in what amounts to an instant in geological time….” you make a very compelling argument. So either we are the first technological species — or we’re not. And if not, they must have us surrounded. They know we are here and are not interfering with us. Maybe they really are our parents, as in “2,001 Space Odyssey.” Perhaps Arthur C. Clarke and Gene Roddenberry received inspiration from our alien parents without being consciously aware of it. So we really are already a part of a “Galactic Empire.” But they’re not a very Imperial one at all. They are watching their children quietly from the sidelines waiting for them to grow up. Gordon, you’re right! That’s another possible explanation – the galaxy is already dominated by another civilization and they strictly enforce something like Star Trek’s Prime Directive. And it gets worse if we consider the great variation of civilizations, if any, out there. Some will hide but others will, at least some of the time, do stuff which we easily can detect. Radio waves, big engineering, or even coming here and leave traces as we have done on the surface of the Moon. We should already have detected the most obvious civilization out there. But we haven’t. If we are alone as a space faring society, it is even more confounding. What miracle happened here? The origin of life on Earth is still unknown, but no apparent obstacle has been identified. Life consists of the most common elements and molecules in a common environment, and life is so persistent that it has colonized every single drop of water on and in the entire planet. How could this not spread to other stars and be forever everywhere? Evolution races to intelligence and physics is surprisingly useful. It just took us half a century from first powered flight to walking on the Moon. Space travel is trivial, everyone can do it. People have spent centuries building a single cathedral. Space flight from scratch happened very much easier and cheaper and faster than that. There are still people alive who were born before the first airplane flew. OTOH, if each of those colonies only managed to found 0.99 new ones (on average) during its lifespan, the civilization would eventually disappear. Those numbers are not assumptions, just fairly conservative examples. The amount of time available is so great that you you can change the assumptions A LOT and it doesn’t change the result much. For example, suppose a technological civilization had developed on Earth during the age of the dinosaurs, but only ever managed to travel at 1/1000 the speed of light and doubled their population every 1000 years. They still would have filled the entire galaxy by now! It wouldn’t have required an intentional expansionist policy, just a very low (but positive) growth rate. And that is starting from quite recently in the lifespan of our relatively young planet! I suspect that the colonies would last more than a thousand years. Lapsed, you said “our neck of the woods”. The distances out there are so vast, at least as measured against our brief moment alive, that we are having trouble seeing things of our scale even *in* “our neck of the woods.” I don’t believe Hart or Fermi or any others who have pondered this phenomenon (to avoid calling it a problem) have really acknowledged the effect of sheer distance on their ideas. Olber’s paradox is a prime example. The universe is not full of light simply because the distances (and the inverse square law) outweigh the brightness of the sources of light. Likewise, we haven’t found another civilization out there simply because they are, on average or by any other measure, too damned far away. But I for one have no doubt that there have to be myriad intelligent, self-aware societies out there. It’s just that they are WAY out there. Right Pete. The distances are indeed vast. But with enough time, the void can be crossed. You just need to consider how much of a head start other races have had. Could we really be the first to cross the galaxy? That idea is very humbling at the same time that it drips of hubris. How could they be far away? Even the dinosaurs lived on Earth when it was on the opposite side of the galaxy. And space flight is so very trivial that we, by chance, went from the ground to the Moon within one single generation. If there has ever been anyone out there, they will be everywhere always. There’s no middle ground. There cannot be just a few far between, either there’s none or there are many millions in this galaxy. Not in a single rotation. But after a dozen rotations. If a civilization colonizes its, for the time being, nearest star once every thousand years, then it would have colonized the entire galaxy even before Earth came together. The claim that no one out of the many billions of stars, during billions of years, never did that, requires an explanation about how all civilizations always are. And mind you, not any single exception is allowed! Not even only one, never ever anywhere. “Our neck of the woods” might be as large as our light cone (everything we can see in principle) – even that is almost certainly a miniscule part of the universe (let alone the multiverse, if there is one). It could well be, for example, that someone completely transformed an entire galaxy a billion years ago – but it’s 1.01 light years away so we can’t see it yet. Olber’s paradox doesn’t say the universe is not full of light because of the distances the paradox was that, that wouldn’t matter if the universe was infinite and static. Most people thought it was at that time. What resolved it were the discoveries of a finite speed of light, Hubble’s Law and the Big Bang. The Big Bang means the universe (or at least what we see of it) has a finite age. So distant light simply hasn’t had time to get here. And Hubble’s Law implied it wouldn’t matter anyway, because light from distant sources would be redshifted to invisibility, we would be receding from very distant sources faster than light could get here. What if expansion did happen and then universal court slowed it down. We might be in a protected area, called the “zoo”. All info is blocked from the outside. That could be it, but let’s say that we are in a “preserve” and not a zoo. If they are even a little bit more advanced than us, they will be using quantum entanglement instead of radio waves, so we won’t be able to pick them up. There cannot be any interstellar coordination. Pharaoh tries to communicate his “universal law” to you by carving it on a stone wall. Do you obey? No. The message is just archeology when it arrives. If there are civilizations out there, they must necessarily be very diverse, communication doesn’t work as coordination when the messages are thousands of years old. Some will be guardians of a zoo, others will be hunters. All kinds must be out there. Many people believe God (or a creator by another name) created the Universe. Believe what you will, some great creative power did create all there is. In doing so, we find many commonalities among the stars and planets when it comes to the elements of their makeup. Certainly there are many types of stars from brown dwarf to massive supergiants, but they all share something in common. And there are many of the same within each category. By the sheer facts of the similar compositions of stars throughout the observable Universe, it should be evident to anyone this cosmic creative force, call it God, physics or whatever, is common to all there is in the Universe. Therefore, would it not also make sense that among planets, there are many that are similar in composition to Earth? Our technology for finding planets presumes earthlike planets exist, but it’s still too early to confirm exact replicas of our world out there. Still, the massive numbers of planets already discovered supports strong evidence earthlike planets exist. Wherever those planets may be, it becomes prudent to believe some of those have life. Life that would have been created by the same cosmic creator that made humans and animals of all species here on Earth. It is my belief that since we are all created by one master force, life similar to creatures on Earth would also exist on these earthlike planets. Maybe humanoids, maybe not, but certainly some of the species of bugs and animals here would be present elsewhere as well. In addition, I’m sure there are entirely new species of life present on worlds much different than ours. Creatures that may breathe hydrocarbons and survive in temperatures much hotter or colder than we can imagine would support life as we know it. Because it wouldn’t be life as we know it. Scientists already think the probability for finding life on one of Jupiter’s moons and one of Saturn’s is not so far fetched. I also think the vast distances between inhabitable worlds would make interstellar travel difficult for any advanced civilization, even if they already knew we were here. Light speed may not be any easier for them than it is for us. Just as some humans are scientists looking only to expand their knowledge, and some humans are warriors who attempt to take over the world, it might be the same for alien life out there. Not every alien is friendly, and not everyone is looking to displace humans to colonize Earth. In any case, it all makes for great debate and creative works of fiction. I think you missed the point of what he was saying. Creative does not imply supernatural; be a scientist and don’t jump to conclusions. I fail to understand your post as there is not any evidence of any matter creation ever in this Universe. Interesting article. Mr. Sagan and Mr. Newman are right. I liked the way Mr Gould responded too. I also don’t understand why we humans think that aliens WILL BE more intelligent, technologically advanced etc and will want to colonize every habitable planet! Drs. Sagan, Newman and Gould were all right, as far as they went. But they all missed the point as far as deflating Hart’s argument! Hart was right too, and his argument works best when you DON’T make assumptions. Proxmire, OTOH, was a goofball whose heart was probably in the right place but who had no concept of how science works. IMO, the six policy steps for building a Universal Peace Building Initiative are: (1) end of war rhetoric and replacement with peace building rhetoric e.g. the solution to climate change is not a “fight” – it is an adaptation; (2) support of all of everyone’s human rights vis a vis the UN’s Universal Human Rights circa 1948 ; (3) tabula rasa diplomacy i.e. diplomacy without historical precedent, preconditions or preconceptions; (4) cooperative prosperity e.g. sustainable economies based on renewable energy; profit sharing; jobs and (5,6) – conversion of militaries to first responders to natural disasters and intel agencies to account for foreign aid. 1 of the things that always leaves me ‘scratching my head’ is communication. We ‘assume’ that Radio Signals is the only way it is possible. … Flags symbols and colors. … Cryptography .. in all kinds. So what if an alien race evolved out of “Radio Signals” as we understand them in 2015 and are 1,000 of light years ahead of us? Just like the article there is two sides of the “alien life exists” – there are more then 2 sides of possible ways to communicate in space. Space if very big, and what IF ‘they’ figured out a much simpler and time effective way to send Space Messages? Here we are, look for “radio signals” – when they left that when we were still ‘pounding on rocks’ …..
I’ve always found it puzzling why someone with the technology for interstellar travel would still communicate via crop circles. Whereas humans were already using more efficient techniques like drums and smoke signals when we were still in the stone age! I am confused by the comparison; is communicating with smoke and noise more impressive than crushing wheat in patterns? Maybe the aliens think we are that’s all we are capable of understanding and that we respond to pretty pictures! Two very important things about intelligent life. 1) We could be the first intelligent life to fire a rocket into space. So the question is why aren’t we spread though out the galaxy yet? Time. It takes a long time even to colonize another planet or moon in our system. And we expect an alien life to have done this in a few years? 2) We so far have avoided making ourselves extinct when we first figured out how to create fission and later fusion. Maybe the natural course of civilizations at this point is for themselves to kill themselves. We aren’t past that hump yet and still could achieve self-extinction. Presumably we came very close to “achieving self-extinction” with the Cuban Missile Crisis. If Kennedy had been less self-reflective ala The Bush’s, this could have been the Planet of the Cockroaches. And I suspect we are heading in that direction. As the west eventually ethically cleanses the last continent they will likely turn on themselves again. At this point everything is a guess. We simply don’t know whether or not other intelligent space faring species exist. To assume they don’t exist because they aren’t here, and act as if that is true, is foolish in my opinion. That conclusion stops us from looking, and it is in the looking that we learn things. We may very well be alone, but I suspect we are not. My humble, uneducated, unknowing opinion is a space faring species starts by colonizing their own system. In doing that they realize the most efficient way to expand is not by colonizing other planets, but by building movable space colonies, that can get to an almost infinite source of resources and energy, not on planets, but on comets, asteroids, … smaller objects without huge gravity wells. Building space colonies also allows the civilization to taylor the colony environment to it’s hereditary needs, rather than spend enormous amounts of energy getting in and out of giant gravity wells on planets that may or may not be suitable. As for looking for communication by radio waves, focused light beams or any other speed of light method, I think this is a dead end. Any advanced civilization would probably find a more efficient less costly way to communicate. I think we are close to coming up with instantaneous communication through some sort of quantum teleportation, and once that happens, there will be no detectable signal, and we’ll be communicating instantly no matter what the distance. Seti might find evidence of life by looking at planetary atmospheres, or might accidently pick up a signal of some sort, but I doubt if it will ever find a signal beamed at us at light speed, for the purpose of communicating with us. That doesn’t mean we should reach a conclusion about what an alien species would or would not do, if it exists, and stop looking. This is certainly the most interesting article and discussion UT has produced in a long time..
@lapsed. Your arguments are very, very compelling. I was completely convinced by the Sagan arguments until i read your counterarguments. If you are indeed true this could have implications beyond the search for life. It would suggest that NO ONE in the galaxy EVER produced AI that POPULATE or EXPLORE the galaxy. This is in my view the most puzzling aspect believers in Sagan would have to explain. We shouldn’t judge humanities expansion by our footprints on the Moon but by the spread of the Voyagers. It would also suggest that our doom due to ever expanding AI is highly unlikely. Maybe true AI is just not possible? So no Matrix/Terminator? All our speculations about “extraterrestrial life” are mere what in shrink jargon is called ‘Projection’. We tend to fit unknowns into our known model something that should be avoided if we do not want shocking surprises. All you can say for certain is that if there are intelligent civilizations in the galaxy that they aren’t expansionist. And I would say we are fortunate in that respect. The more sophisticated and refined a culture gets, the higher its standards are likely to be. The higher these standards are, the less likely it might become for branches to break off from the home planets. Colonization is likely to be a grueling and Spartan affair, and if home is quite comfortable, who would want to leave? The answer is likely to be that they would leave out of necessity, such as when their star becomes unstable and that could take billions of years. It would make sense to take to the stars to gather resources, but that may not require colonizing habitable planets, just stripping non-habitable ones and transporting them back. Looking at migrations and conquests in Earth history, these usually took place due to conditions becoming intolerable in a tribe’s homeland forcing them to take to the sword and conquer another. Such migrant civilizations are likely to be trouble and could be us if we take to the stars while still starving many people of resources in favor of others. Let’s take a more expanded viewpoint. Let’s assume evolution works on more than just a matter substrate. That’s not hard considering it only requires the substrate to be able to form patterns that exist long enough for random reproduction processes to occur on them. So there could be life forms in dark matter and possibly dark energy. Indeed there could be an evolutionary process on the energy from which the universe came into being. While information in this universe seems to be restricted to move at c or less, this may be a problem only where there is a higgs field or for information encoded on a substrate interacting with the higgs field. And the latter may only be a problem for beings of a substrate restricted to the (3, -1) Minkowski half space (assuming it is embedded in a larger dimensional space). Given the possibility that life forms evolved on energy forms other than matter is there any evidence for that? I propose that’s the basis of many “religions”. Allowing a correspondence between dark energy, dark matter and angles, jinn and an intelligence overlaying the energy field from which all existence arises then there is a context for a passage in the Quran. O company of jinn and mankind, if you are able to pass beyond the regions of the heavens and the earth, then pass. You will not pass except by authority [from Allah ]. 55:33 This passage seems to imply the encompassing intelligence doesn’t allow interstellar migration without some from of permission. It may be we should be thankful that beings like ourselves, expansionist, belligerent, colonizing aren’t allowed interstellar travel. On the other hand, this viewpoint would imply we are already “visited” by “aliens”, we just don’t see them because of the “dark” nature of their substrate. Previous PostPrevious Venus and the Pleiades – See the Spectacle!